Elan Linen is offering Mid Season Sale and giving its customers a chance to get their favorite bedding brand KAS products at 70% discount. 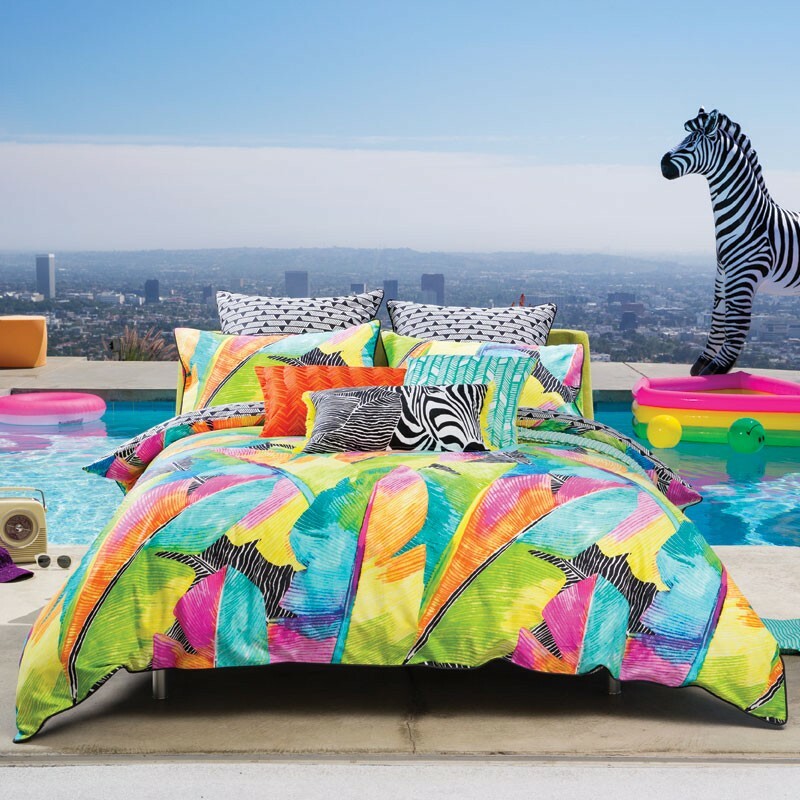 Byron quilt cover set by Kas Lab Edition is an atomic burst of vibrant colors. It is packed with the power of pink, orange, aqua, green, yellow and a pinch of black. Moreover the Byron quilt cover has a geometric print in black & white on its reverse and piping on edges, just perfect for a modern look. Made with 300TC cotton sateen. This multi colour quilt cover by KAS will definitely change the look of your room. You can buy this beautiful quilt cover at the following link.